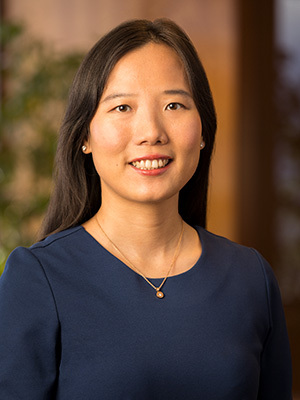 Ms. Jin is an associate with Ray Quinney & Nebeker, practicing in the firm’s Corporate/Business, Cybersecurity and Privacy, Real Estate, and Immigration sections. Ms. Jin helps companies with a variety of business matters, such as entity formation, planning and transactions, shareholder purchase and sale agreements, operating agreements, mergers and acquisitions, e-commerce, direct sales, and international business issues related to China. Ms. Jin also assists clients with internet law issues as well as legal compliance with data privacy laws, including the preparation of privacy policies, terms of services, and other EU General Data Protection Regulation (GDPR) compliant documents. Born and raised in China, Ms. Jin is fluent in Chinese, and proficient in Chinese business communication and document translations. She has provided translation and interpretation services in English and Chinese for corporations, professional journals, and nonprofit organizations. Prior to law school, Ms. Jin has provided marketing and consulting services for international companies from China, Switzerland, and the United States. Ms. Jin assisted technology and retail businesses from China, Sweden, and the United States with their business communication, market analysis, and business intelligence in emerging markets.